Just because the summer is over doesn’t mean that you don’t still crave time away from the hustle and bustle of everyday life and the chance to explore somewhere new. If you can’t afford to jet off for some winter sun, there are still plenty of incredible places to visit right here in the UK. Sure, we get all sorts of weather in the winter time, but so long as you dress appropriately you can still have a fantastic time exploring the most beautiful corners of the British Isles. If you need some inspiration, read on for three amazing places you should consider visiting! Somerset is a wonderful place to visit during the colder months and there are plenty of things to attract you to the region. Whether you’re more a fan of the countryside, or you fancy a city break, there’s plenty of choice. For lovers of nature, the Somerset Levels are a wonderful place to visit in the winter months. The Avalon Marshes are home to some of the most stunning starling murmurations you could ever hope to see. Head there just before the sun sets to catch this breath-taking natural phenomenon taking place and be sure to head back during the daytime too, as there are plenty of wonderful things to see and do. If you fancy heading to a city, Wells may well be the smallest city in England, but it still packs a punch. In the winter months, it takes on a really charming and magical feel that is sure to get you excited for the holiday season. Twinkling lights in the medieval streets, a huge Christmas tree, and even a Christmas market will fill you with cheer. The Lake District is a magical place to visit at any time of year, but in the winter months, it truly becomes a winter wonderland. On a clear day when the fells and forests are covered in a layer of crisp white frost or snow, there is nothing more magical! Whether you love a good winter walk through some stunning scenery or a cosy place to enjoy some incredible food and drink, there’s no shortage of things to do, no matter what the weather may bring during your stay. The Lake District is home to more Michelin Star restaurants than any other part of the country (bar London), so if you love fine dining, you need to plan a visit. There’s nothing more indulgent than enjoying some really amazing food when it’s cold outside! If you’re looking for inspiration for winter walks, we did a roundup on our blog which you can find here that should give you plenty of different walks to try no matter what your fitness level or experience is like. 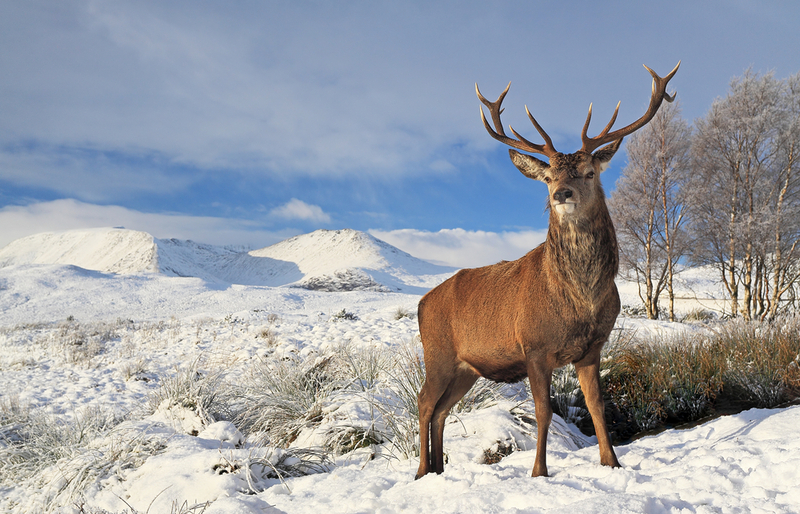 If you have yet to explore much of Scotland, then this winter may be the perfect excuse to change that. This beautiful country has so much to offer, from beautiful cities like Edinburgh and Glasgow to tiny wee towns in the borders and islands. The natural beauty of Scotland is incredible, and there are mountains the climb, lochs to wander around, and remote islands to get away from it all. Scotland is also home to many Dark Sky Discovery Spots, which are the perfect place to head if you like to look to the stars. Galloway Forest Park is one such spot and is the only national park in the UK to be given Dark Sky Park status. There’s very little light pollution, and it is very accessible, located around half an hour’s drive from Glasgow and served by both main roads and public transport links. Head to the Scottish Dark Skies Observatory near Dalmellington to make use of their observatory where you can take a closer look at the stars above us, but don’t forget to wrap up warm as it will be very cold at night! Skiing and snowboarding are also some of the most-loved winter activities in Scotland and you only have to travel as far as the Cairngorms to hit the slopes! Sure, there are indoor or artificial alternatives you can visit year-round, but The Lecht is the real deal in the winter time, with real snow, 20 ski runs, and 14 lifts. We hope this has given you some inspiration when it comes to finding somewhere new to explore this winter! Do be sure to also check out the availability of our parks if you need a break, as each of them are perfectly located for plenty of winter exploring.